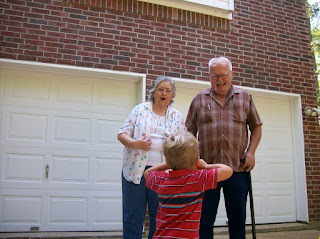 I was trying to get a picture of Dawson with his grandparents and told him to say cheese. He decided that we needed to get Grandma and Grandpa to say cheese. So instead of standing next to them and saying cheese, he took it upon himself to direct them to smile and say cheese.